Falmouth, which comprises eight distinctive villages, is one of the Cape's most popular summer destinations. 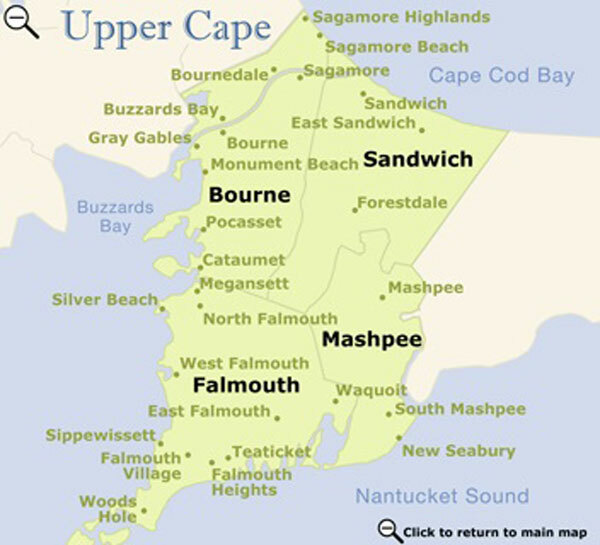 The town occupies the lower corner of the Cape's shoulder, and because of the many inlets and bays, it is surrounded on nearly three sides by water. Boating and sailing is available from 11 protective harbors. 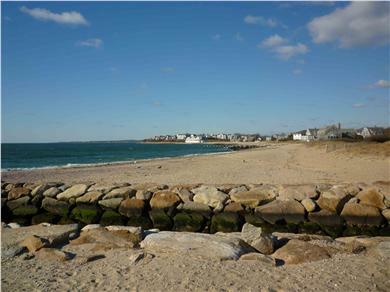 Falmouth Harbor offers protected docking and moorings to boats of all sizes and has easy access to the open ocean. Fishing charter boats and ferries for Martha's Vineyard also depart from this harbor. Canoeing and kayaking through marshes, rivers, and ponds are popular water sports. Old Silver Beach in North Falmouth is one of the Cape's prettiest beaches. This beach is especially good for small children, since a sandbar keeps one end of its waters shallow and creates tide pools brimming with sea life. The Shining Sea bike path runs along the ocean and through piney forests from Falmouth to the charming New England village of Woods Hole, which is home to the Marine Biological Laboratory and Woods Hole Oceanographic Institute. Falmouth's historic Village Green is surrounded by stately captains' homes. Evening concerts are held in the summer at the Harbor Marine Park bandshell. The Falmouth Road Race in August is world famous. The route for the 7.1-mile race runs along the coast from Woods Hole to Falmouth.